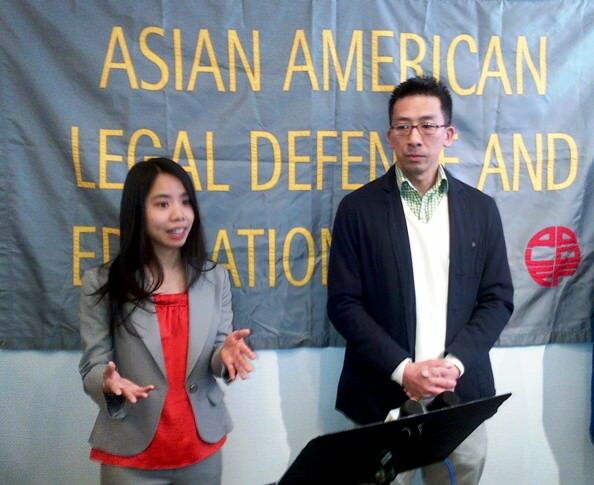 The Asian American Legal Defense and Education Fund (AALDEF), the Property Tax Payers’ Association, and small property owners in Chinatown announced that New York City’s Department of Finance and Department of Small Business Services have admitted that property owners were wrongfully charged several hundred thousand in Business Improvement District (BID) fees. After the City Council voted to increase fees on Chinatown properties by establishing a BID, despite the protests of property owners already crippled by the current recession, the Department of Finance held the same property owners responsible for thousands of dollars in BID fees for four months before it was even in place. AALDEF sent a letter to the Department of Finance and the Chinatown BID Interim Board asking that the City rescind these unlawful, retroactive charges. Upon receiving no response, AALDEF prepared to take legal action on behalf of the Property Tax Payers’ Association, a group formed to protect the rights of small property owners in Chinatown. On March 20, they held a press conference in a vacant Chinatown storefront on the need for corrective action. According to news reports, at least one BID-related official claimed there was no error. On March 30, the Department of Small Business Services acknowledged that the fees were wrongfully charged and agreed to rescind them without a lawsuit. Property owners who paid the amount will be reimbursed, and those who have not paid will not be penalized until the City recalculates the fees in the next billing cycle. The property owners have also raised the issue of whether the Chinatown BID Interim Board could vote to use future BID fees to reimburse the Chinatown Partnership Local Development Corporation, which claims to have spent money on BID services before the BID existed and before the BID board signed any contracts with outside entities.